Lower metal prices seem to be attracting more sales for the U.S. Mint. The fact that many common coins have drifted lower in the past six months has not yet enticed buyers to earlier collector coins. So for now, it looks like the modern bullion coins are leading this market. 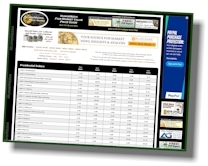 Further, we are finding many higher prices for the ultimate 70 grade for Gold and Silver Eagles with low populations. 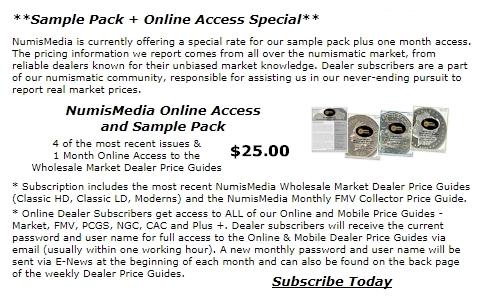 This is not an area that most dealers enjoy participating in, but if this is what today’s buyers want, that is what the dealers will offer. Below is a list of some of the late date rarities in Gold Eagles that have been climbing in value since the first of the year. Thanksgiving will be followed by next week’s Houston Money Show which will include a Heritage Auctions Signature Sale. One of the highlights will be the 1911 $5 Gold Indian in PCGS PR67 with the CAC approval. 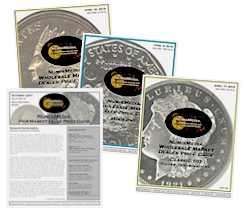 There are only five coins certified by PCGS in this grade with just one higher in PCGS PR68. The following list contains some other potential highlights from this upcoming sale. Happy Thanksgiving from all of us at NumisMedia.